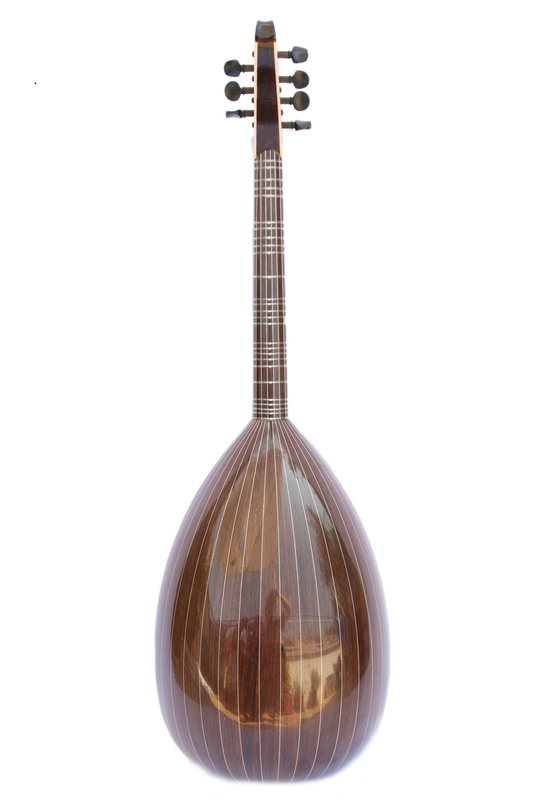 Professional Turkish lavta / lute made by one of today’s great oud makers: Kamil Gül from Ankara. 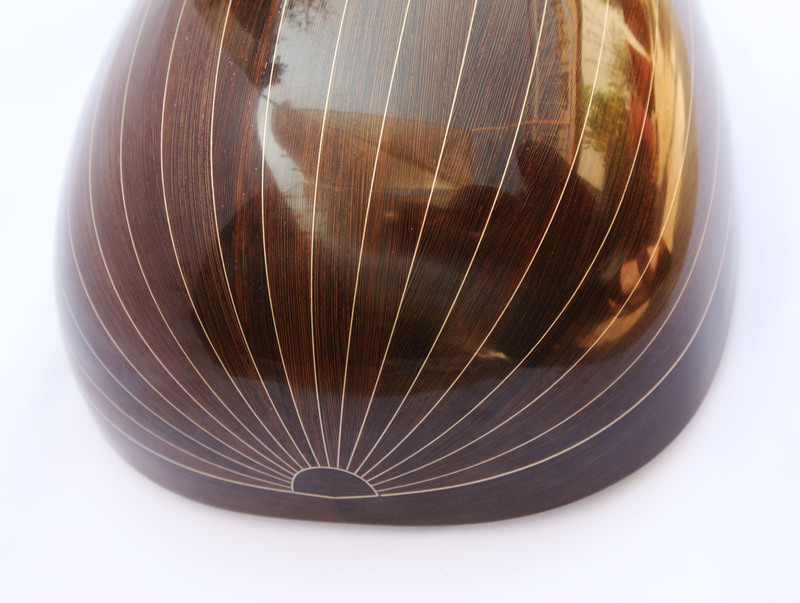 Kamil’s ouds are famous for their superior quality and handwork. His lavtas are featuring the same known quality. 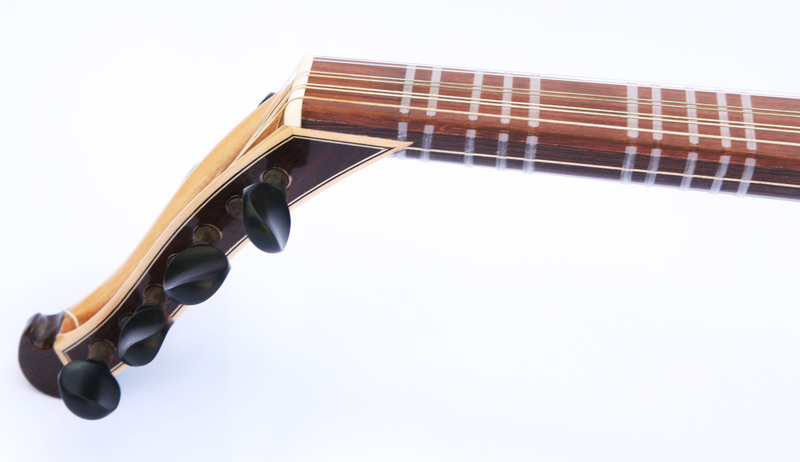 The high density of frets on the neck allows you to play very small nuances and to play the 5/9 divisions of the tone. 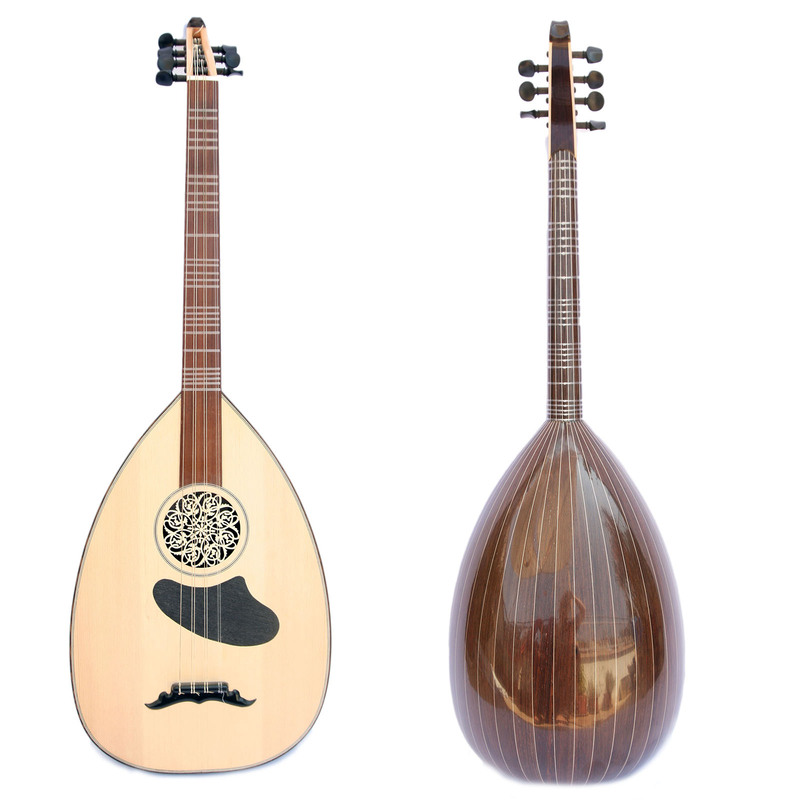 The turkish lavta is a fascinating combination between the Oud and the Saz that was invented in Istanbul. 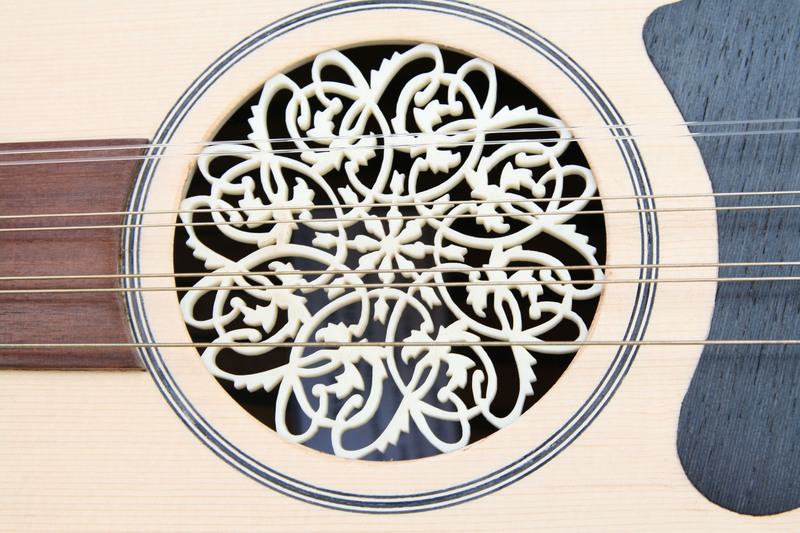 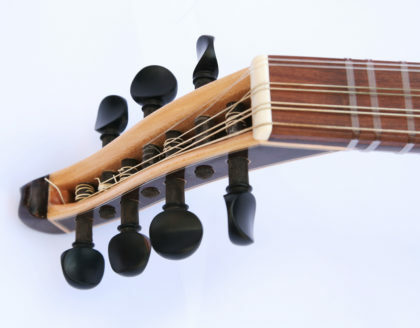 The lavta is made from strips of wood like an Oud, and the neck has 4 sets of strings on a fretted neck. The tuning of the lavta is: D (low) – A – D – A (high).